Emily is skilled at connecting people with themselves and with each other to bring out their creative and collaborative potential. She began her professional life as a company member and then operations manager for the world renowned Bread and Puppet Theater of Glover, Vermont. There her natural talent for connecting with people was further developed organizing, creating, rehearsing and teaching shows to diverse groups of people in the U.S. and 25 countries. Emily founded and directed Awareness Theater, a dynamic theater group composed of people with and without disabilities. For the past 17 years Awareness Theater brought the stories ofthe company members to the stage. The Awareness Theater technique that Emily developed creates a shared context that facilitates interactions between people with and without disabilities. During her 11 year career as VSA Vermont’s Director of Creative Performance and Cultural Access Emily designed, coordinated and taught the High School Self Advocacy Theater Program. Using group discussions and theater games participants grew to know themselves and to collaborate effectively on group projects. Emily also scheduled and supervised an adult performing and visual arts program taught by local artists in all genres. Emily’s broad experience in facilitating groups with widely diverse skill sets and backgrounds has allowed her to develop techniques to insure success and effective collaboration in any situation. Emily is a former commissioner for the Burlington Parallel Justice Program, a national demonstration project. The commission provides a formal venue for victims of crime to share their stories. This official forum helps to validate the experience of victims. In addition, the commission is tasked with removing barriers to victim participation in the criminal justice process, and addressing systemic changes needed to better meet victims’ needs. She is a former member of State Program Standing Committee for Developmental Services. Last year she finished her first stint on the Board of Directors for VCAM. Emily is the Bridging Coordinator at Champlain Community Services. This program assists high school students bridge the span between school and adulthood so they can create meaningful lives for themselves. She is also the co-facilitator of Champlain Voices, one of 23 advocacy groups under the umbrella of Green Mountain Self Advocates. Awareness Theater is a dynamic theater group composed of people with and without disabilities. 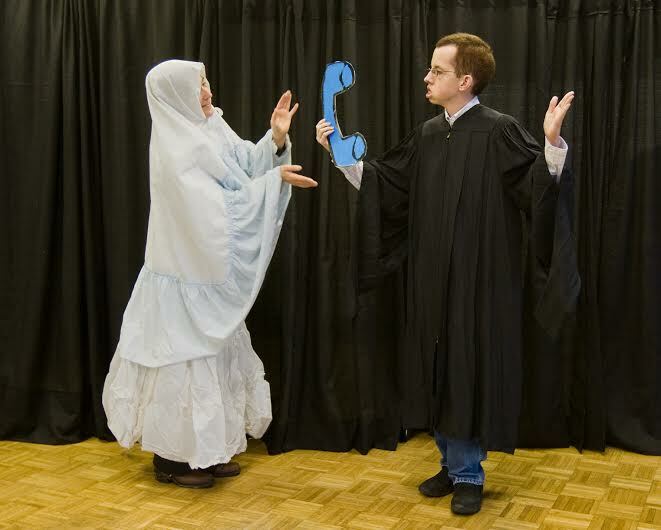 The Awareness Theater technique creates a shared context that facilitates interactions between people with and without disabilities. Awareness Theater has produced several other projects many of which were commissioned by various organizations and customized to those organizations’ goals. Using group discussions and activities participants grow to know themselves and how to collaborate more effectively on group projects. Mark Utter, a man who cannot speak but types his thought with support asked me to produce his story. I assembled a team and facilitated the collaboration between all team members to produce this movie in a way that allowed Mark to maintain creative control. For more information on this project please go to Utter Communication Strategies. A production that shows the successful use of advocacy and activism to bring about equal access to education. This project started with interviews with adults with disabilities, parents, educators and legislators. I then led workshop to create the play. We toured it around Vermont. Each performance was followed by discussion and voter registration. We then produced a movie based on the play. A commission for The Vermont Center for Crime Victim Services. A short theater piece promoting Burlington’s Parallel Justice Program through one victim’s story. This piece used original artwork and humor. A commission for The Vermont Center for Crime Victim Services. A short theater piece promoting justice programs for underprivileged populations that used anecdotes and live music. A commission for the Vermont Center for Crime Victim Services. Two theater pieces that provided refugees and undocumented farmworkers with information about crime victim services. Both of these pieces used elements of street theater to present their message. They were both turned into short movies. 33 one-half hour episodes. Full production from concept to guest selection, shooting, editing and post production. Most shows consisted of a presentation of a short theater piece or film followed by interview with the creators or participants. The show provided a context to meet interesting people doing interesting things.